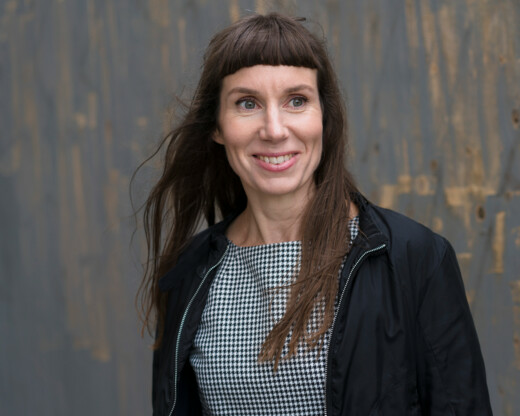 Mirja Unge, born 1973 in Stockholm, has been praised for her distinctive writing style and has also received several prominent awards for her literary works. She made her debut in 1998 with The Words Came From the Mouth, for which she was awarded the Katapult Prize for best debut. She has since written two additional novels and one short story collection. Unge is also an acclaimed playwright. … Unge stays close to her characters, moves along their interactions, writes down their emotional choreography in the language’s own streams of consciousness, like a Virginia Woolf for the working-class /… / In “I Live on Tomorrow”, Mirja Unge is better than ever. Mirja Unge’s colloquial and poetically charged style grabs a firm hold of the reader. The prose and the plot form a perfect unit and produce an own literary universe. Mirja Unge has a truly unique ability to describe childhood and adolescence as a constant war: the filth, the sleaze and the vulnerability knows no limits /… / Unge often writes about more or less broken people on the fringes of society; she does this incredibly well and this time it’s particularly sinister. Everyday life is purely about survival and makes me think of how being young also means being forced together with both family and classmates, without being able to choose. Unge’s fictional worlds are ordinary on the surface, but soon something distorted becomes visible, something that feels uncomfortable and distressing. The irregular, slightly obstinate and untamed prose accentuates the rough edges of life /… / I Live on Tomorrow is a strong return.